The Dayton Technician Stool is an elegant and sophisticated stool, with polished chrome frame and sleek design it will fit perfectly in any salon. 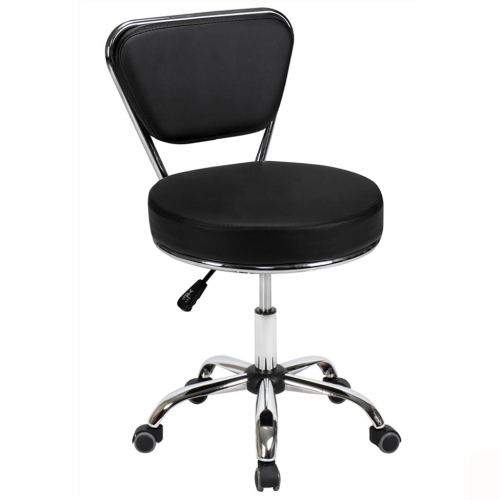 This Technician Stool puts you at just the right height to create perfect manicures and attend to your customers, with the adjustable height of 19 to 25 inches The Dayton Technician Stool is an elegant and sophisticated stool, with polished chrome frame and sleek design it will fit perfectly in any salon. The Dayton Technician Stool is an elegant and sophisticated stool, with polished chrome frame and sleek design it will fit perfectly in any salon.